Triumphant Victorious Reminders: April 8, 2010, "Reflecting..."
I have been reflecting back on some of my writings from last year. This was the first post written for Triumphant Victorious Reminders. The following was written on March 20, 2009. I am amazed how God had been teaching me the power of praising Him, even before I came under the ministry of Worship Life. The writing revealed as i humbled myself by praising Him; His great power was revealed as He lifted me up and out and into His glorious restoration! Hallelujah! Or did I immediately "praise" the world's problems? Have you heard this well-known cliche? "They're so heavenly minded; they're no earthly good"
"We can be so earthly minded; we're no "heavenly" good"
So with these two statements, it tells me that there must be a balance, correct? As many people that there are; I am sure that there are as many opinions to that question. As we have been going through some rocky times, which let me say, some are self-induced 'rocky times',...we are realizing that praising God is a mighty weapon against the enemy. Have you tried it? You won't feel like it, but when you do it despite your feelings, it's amazing how the problem is demagnified and God is Magnified, which is where He is to be at all times! When we rejoice in Him, it causes Him to be magnified, which He already is, but then we give Him place even in our hearts and minds! I love what I heard in 2006 when things were really rough, "Look up!" I heard. Then, as I looked up I heard, "The sky is as the train of My majestic robe, even the heavens cannot contain Me...so why do you try to contain Me?" Soon after I heard that in my spirit, I recognized subtly the power of praise. I'm not just talking about singing songs of praise, but truly declaring the praise which belongs to God and God alone (Example: "I praise you Lord for Who You are; I declare as the heavens declare your amazing glory! You are eternally just and merciful. Thank you for your Love and your Power to endure, persevere and most of all TRUST in YOU at ALL times! As you exalt the Lord, watch what will happen. Even if you don't feel like it, just triumph over those feelings regarding someone or something and praise the name of the Lord. The peace of God will rule and reign in our hearts when we do so! It's an automatic...you praise God, He will raise you through it! Be encouraged today to know that if you suffer for the cause of Christ...that is the wealthiest life and most fulfilled life to live! I pray the grace of God over each of our hearts and lives so we will walk in boldness for the glory of God, which is our rear guard. I am still striving toward the mark when it comes to living a balanced life. I am clearly a work in progress...still in need of much work. I am thankful our Heavenly Father will not give up on me. Beautiful, Teresa! Praising God in the storm surely must please Him. Not only that, if we let the trials shape us instead of overtake us, we will be victorious and filled with God's peace! Oh, amen! This is exactly why I proclaim, "Hallelujah Anyhow! "...great post, Teresa! Wow Ladies! You all are amazing women of God; and to receive this much needed encouragement is beyond beautiful!!! Our God is so amazing! 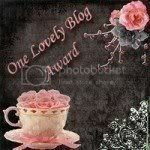 well, mom one word betiful blog you are a true writer for god!!!!!!!!! This is one of the biggest things you have taught me that I had no idea about...!!!! I was going to tell you that today, I know I have told you before but it is really special to my heart and relationship with the Lord. Today to hear your prayer for Jen made me thank God for how you are able to understand and tell how God made creation and it is very special how you can understand and appreciate HIS work. You have a understanding that is very special and God is Glorified. Thank you friend!